Give today to help find homeless dogs and cats loving homes! Broadway Barks helps many of New York City's shelter animals find permanent homes by informing New Yorkers about the plight of the thousands of homeless dogs and cats in the metropolitan area. Funds raised from a raffle, silent auction, signed memorabilia sales and donations are distributed to the participating shelters and rescue groups. This year will be the 20th anniversary of Broadway Barks. As with every year before, we look forward to partnering with the amazing rescues and shelters that work so hard every day to care for animals in need. 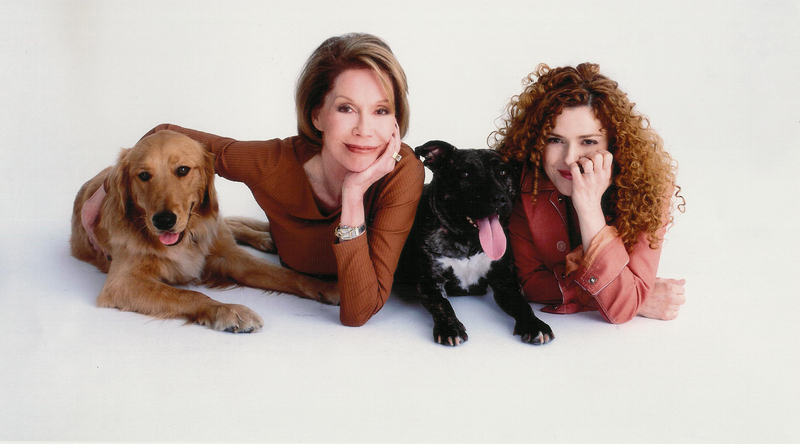 Mary Tyler Moore will always be in our hearts, and we will never stop working to fulfill her dream of finding every animal a loving home. We hope that you will join us in this commitment and adopt a pet into your own family. To donate by check: Please make your check payable to "Broadway Barks". Mail your check to Freedman Broder, 11100 Santa Monica Boulevard, Suite 400 Los Angeles, CA 90025 Attention: Marlene Bolin. No goods or services were received in exchange for this contribution. Broadway Barks is a non-proﬁt 501(c)(3) organization No. 47-4080996. A copy of our determination letter is available upon request. Happy to give to such a good cause, and I also wanted to thank Bernadette Peters for being so nice to her fans. In memory of Alice Weinstein, our friend and lover of dogs. A few years ago we "adopted" who had been living as stray for about a year here in Seattle. She had a chip and was actually from Georgia. In memory of Gypsy Rose Lee, our rambunctious, loving, and fabulously absurd poodle. You will be missed and fondly remembered for you licks. I am Bernadette's biggest fan and I love to support her charity every year. Giving Tuesday! In honor of all the wonderful dogs and cats looking for their forever home. Sending so much love!! This donation is in honor of Caesar Samoayoa and Millie as part of my Come From Away-inspired day of kindness. Celebrating seven years of dog ownership! Please open your heart and support these little angels! Because you are angels helping these homeless pets find forever homes.